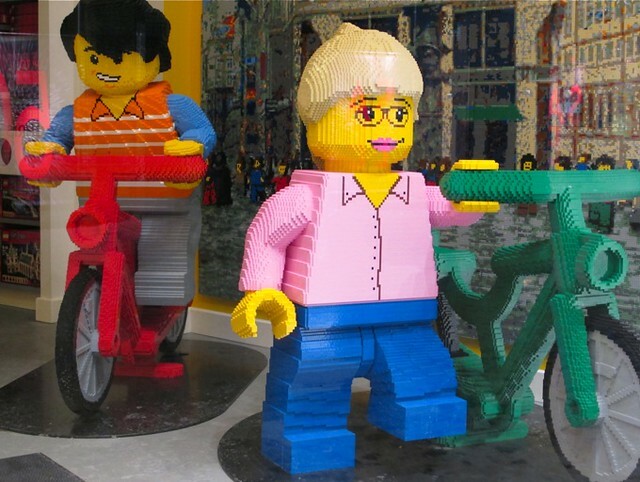 Life-sized (well, kind of) LEGO cycle chic at the LEGO flagship store in Copenhagen, as spotted by Sandra at the Classic Copenhagen blog. Love it! Be sure to check out our Lego tag here on Cycle Chic for more Legoliciousness relating to lovely bicycle riding.